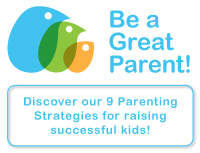 This page is packed with links to a wide variety of resources for parents. Enjoy browsing and clicking! TEST YOUR PARENTING SKILLS! Take this parenting assessment test to discover your areas of strength and your areas of potential growth as a parent. This is a general parenting assessment. There is also a teen assessment link at the top of the test page. Every child at one time or another will want something... RIGHT NOW!!! When parents give in to whining, complaining, and temper fits, we teach our kids entitlement. We teach them that they deserve whatever they want when they want it. If we manage their requests or demands with reflection and planning, we can teach them the powerful tools of patience and persistence, tools that will take them much further in life than entitlement. CLICK HERE for some practical suggestions. I've never met a parent who hasn't struggled with the role of anger in parenting. Anger has a role, but when it gets the best of us, it creates an environment for our children that is not safe, either physically or emotionally. You can build safety into your parenting with some simple strategies. Your anger can become a signal to you that something important has happened rather than a burst of energy that you can't harness. When your Kid says, "I Don't Care!" Motivating our children to speak and act in ways that are in everyone's best interest is a key parenting role. When we do it well, we create a family environment filled with peace and happiness. When we fail to motivate our children successfully, we get frustrated and confused, and we often resort to parenting techniques that we later regret. Families with young children are a blessing to our parish community. It's our goal to help you and your children experience the blessings of Sunday worship along with the rest of the community. We know that it can be a challenge for you to bring your children to church. It's not always easy to get out of the house and make it to church on time. Children are wonderfully spontaneous and sometimes surprise you with unexpected words or actions during Mass. We would like to partner with you to enhance the experience of children at mass. We are working on ways to be more hospitable to families with children at IHM because we are blessed by your presence on Sunday. We would also like to offer some information that might help you prepare your children to experience Mass in a more positive way. CLICK HERE for some practical guidance! The 2014 scandals with NFL players and domestic violence raised many questions about how families should settle conflicts. Adrian Peterson's case is especially relevant for Christian parents because he is a self-described Christian and many Christians defend their decision to beat their children with quotes from the Bible. Peterson beat his 4-year-old son with a tree branch called a "switch" after his son pushed one of his other children. There were lacerations and bruises over much of the child's body, marks that the child's pediatrician said were consistent with child abuse. CLICK HERE to read more. 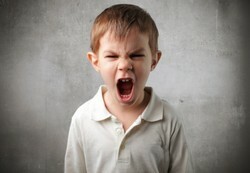 Every parent has to deal with temper tantrums in young children. 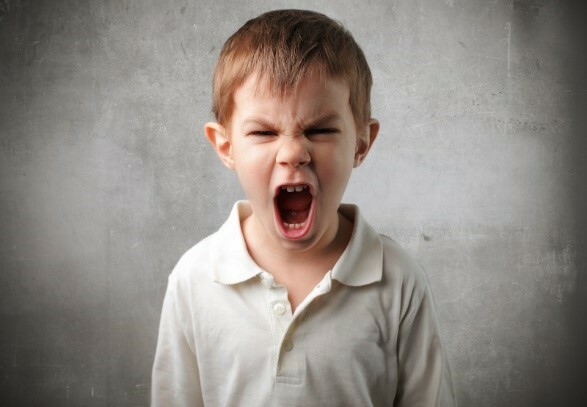 Sometimes kids will say and do things that are entirely inappropriate or even unsafe when they are angry. What do you do about it? You have to deal with it. Ignoring it, yelling or spanking won't get you the results that you want in the long run even if they help in the short run. CLICK HERE to read about a success story of one mom and how her response not only helped her child's behavior issue, but it also taught a very important lesson about God. The topic of conflict with our children has particular meaning to families who adopt, but good parenting is good parenting, and so birth parents and parents who adopt have a lot to learn from each other. Here's a story about how one parent worked through an intense conflict with the child she adopted. So many parents feel inadequately prepared to teach their faith to their children, but nobody has a more powerful effect on the faith life of a child than a parent. If the parents don't teach faith, children will likely not learn much or retain much even if they go to religious education classes at church or a Catholic school. Parents are the foundations for learning. Schools and religious education programs are nothing more than tools in the hands of parents. CLICK HERE for a simple suggestion for teaching prayer at home. CLICK HERE to access a few faith-building websites your children will enjoy! IHM Parish offers relationship coaching for couples who want to recharge their marriage. 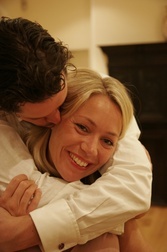 This personalized process will help you discover your areas of strength and your areas of potential growth as a couple. No matter what condition your marriage is in, coaching will help you take it to a new and more satisfying level, and your kids will thank you too. Parenting teenagers can be the most challenging and rewarding experience of your life. 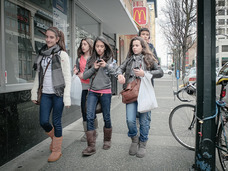 IHM would like to walk the teen-parenting journey with you. We provide resources and services to teens and their families. 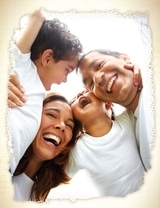 Our youth ministry section of the website has a page dedicated to parents. CLICK HERE to access resources for parents of teens! This award-winning website is a library of resources for Catholic parents. 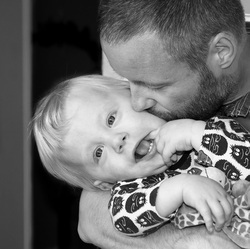 The link below will take you to the parenting page, but there's much more so don't hesitate to explore other parts of the site. The Search Institute is one of the best child and adolescent research centers in the world. They provide outstanding information and practical advice for parents on their Parent Further website.